Captable.io is a free tool that supports easy cap table creation, management and insights for Founders. Startup Founders are busy. In the long list of things competing for your attention, cap table management is probably not high on the list. However, not having an accurate record of your company’s ownership structure can lead to costly mistakes down the road. Employee trust can be undermined if stock option grants are not handled properly, and closing a round of finance can be delayed, or even placed at risk if cap table errors or omissions are revealed during the due diligence process. 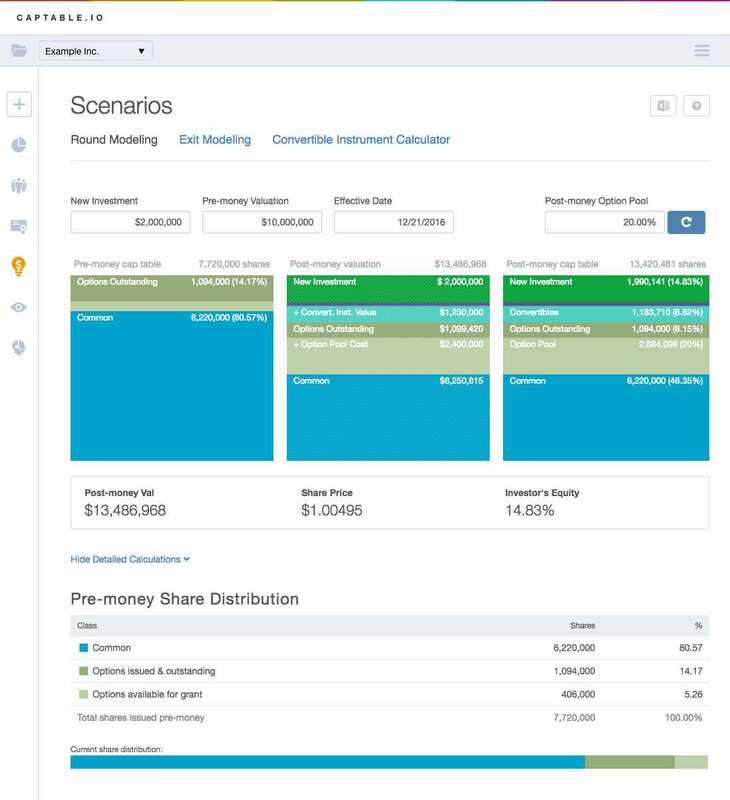 is a cloud-based tool designed to make cap table creation and scenario modeling as easy as possible. Built by Founders for Founders, Captable.io is a free product that guides you step-by-step through the cap table creation process, prompting key company details to be added such as employee grants, convertible notes and the stock option pool. Supporting documents can be stored in Captable.io to establish a full and complete record of events. Once your cap table has been created, Captable.io allows easy, secure sharing with others. Co-Founders, employees, lawyers and investors can each be granted the correct level of access, removing the burden of managing multiple documents, and, more importantly, reducing the risk of sharing sensitive information via email. For those without legal backgrounds, and who may be more visual thinkers, Captable.io makes it significantly easier to create and share your cap table and also to gain valuable insights. 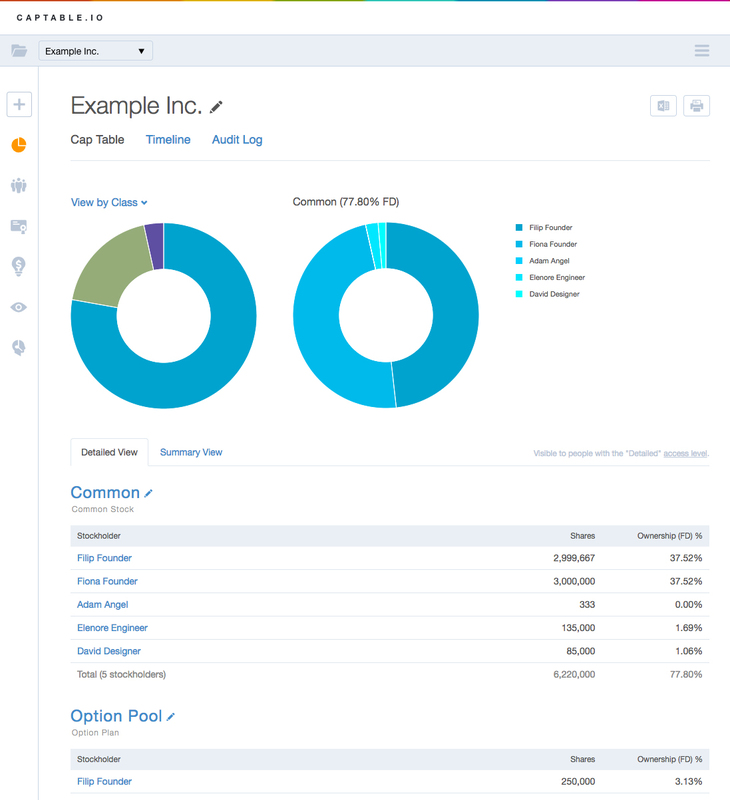 Captable.io’s greatest value add comes from its round and exit modeling features. These tools give Founders a clear understanding of how a new investment will affect existing shareholder ownership, how any convertible notes will convert and how much each shareholder ultimately stands to earn at a range of exit valuations. The impact of liquidation preferences can also be explored simply and visually. It’s really important not just to negotiate smart, but to also be able to communicate with your team and represent the deal terms accurately. Founders, do yourselves a favor, and avoid such heartbreak. It literally takes seconds to explore the Captable.io demo and minutes to begin creating and managing your own cap table. Captable.io is a free tool that’s provided as a public service by Founders, including the legendary Eric Ries, who are eager to help fellow entrepreneurs avoid common cap table missteps. Be on the lookout for the next release of Captable.io with enhanced visualizations of stock option vesting. The Captable.io team is working on a second product to address cash burn management, another underserved space for Founders. For more information about Captable.io, visit the company’s website here.